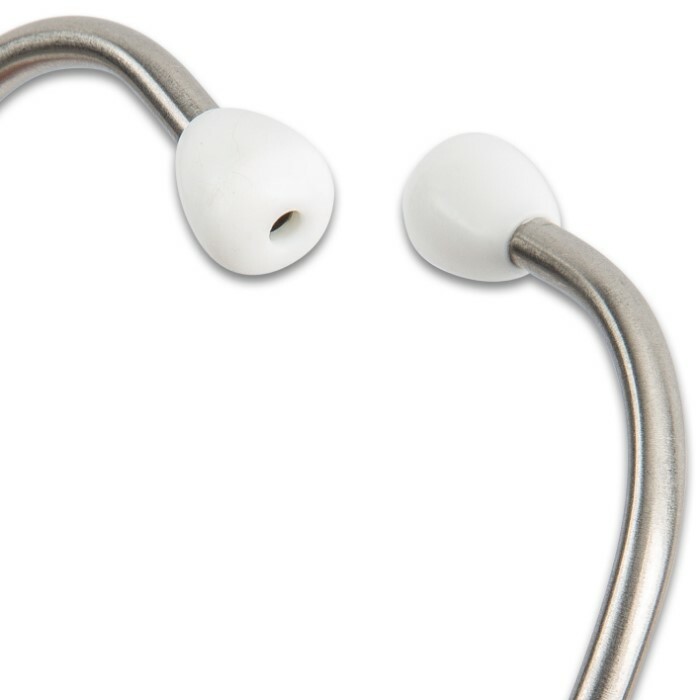 Single Head Stethoscope - Lightweight Aluminum, PVC Flexible Tubing, Comfortable PVC Ear Pieces, FDA Certified | BUDK.com - Knives & Swords At The Lowest Prices! 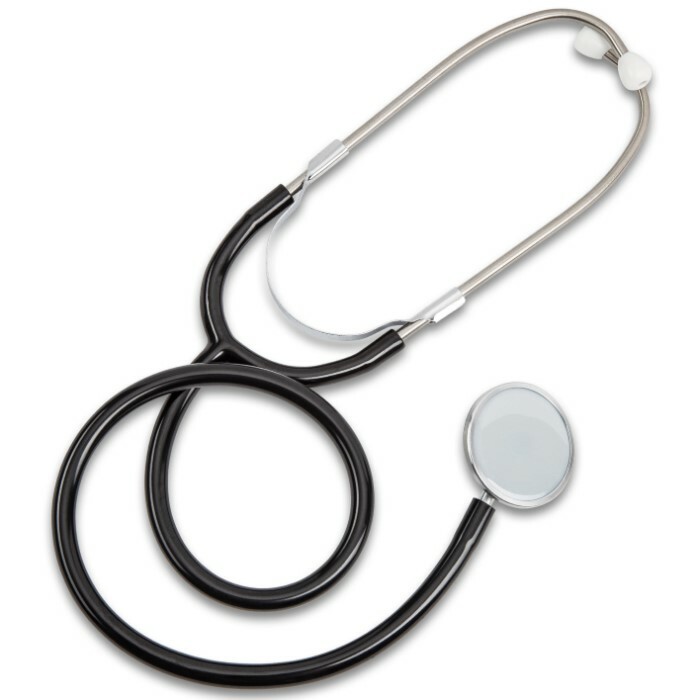 The Single Head Stethoscope is made of lightweight aluminum to offer comfort and ease during use. It features a high-quality, non-chill diaphragm rim, which offers the patient comfort and the unique diaphragm enhances acoustic response for accurate use. The binaural is adjustable and has comfortable PVC ear pieces and the 22” PVC flexible Y-tubing is latex free. 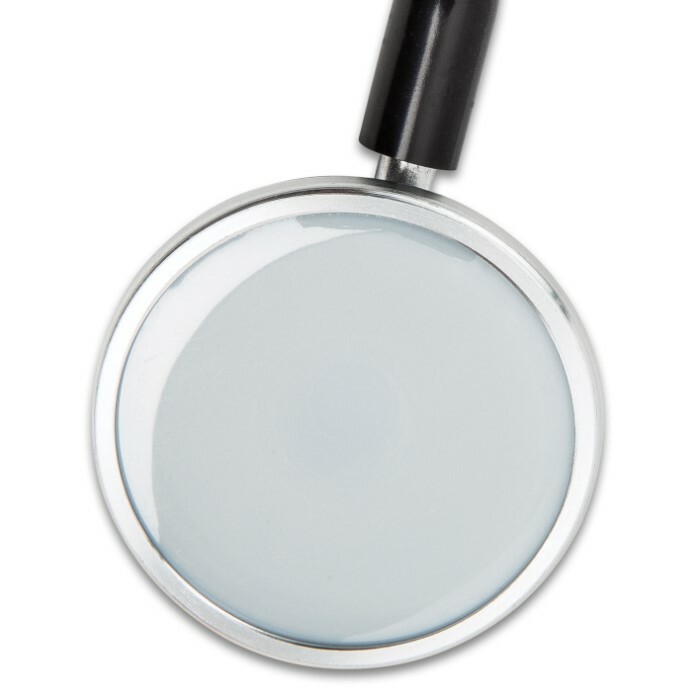 This stethoscope is accurate and cost-effective, which makes it an ideal addition to your home and vehicle first aid kits, bugout bag and emergency gear.